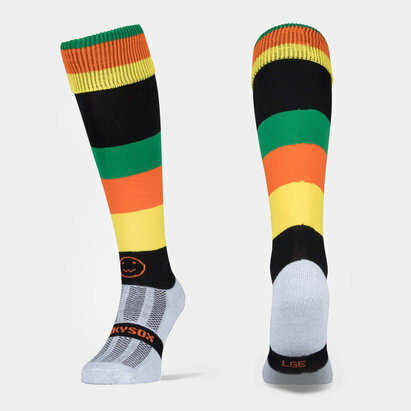 Wacky by name and appearance but certainly not in terms of function and performance, the Wackysox is the best of both worlds for players who like to make a statement on and off the pitch. 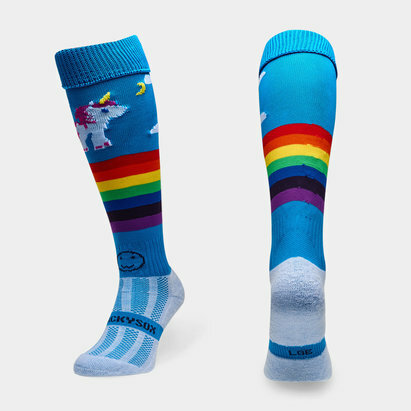 The Wackysox collection Love Socks feature an ultra-high performance foot made from coolmax and polyamide. 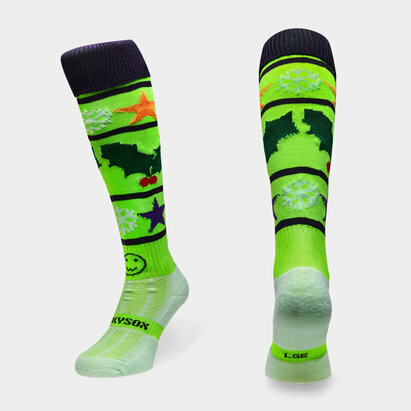 Coolmax is the original moisture management fabric featuring advanced wicking technology which helps keep moisture away from your skin - keeping you dry and cool, so you can play harder. 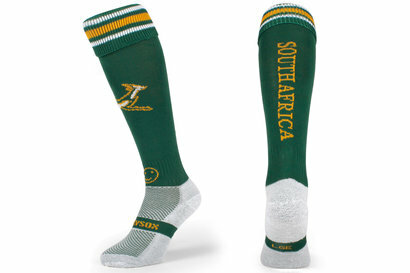 Moving up the socks and the main leg is made from polyamide and elastane, ensuring a comfortable and soft fit which can be worn with or without shin pads. 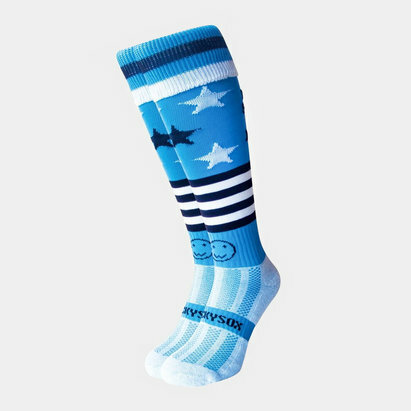 As with any Wackysox, the talking point is always the design and this offering lives up to the name. 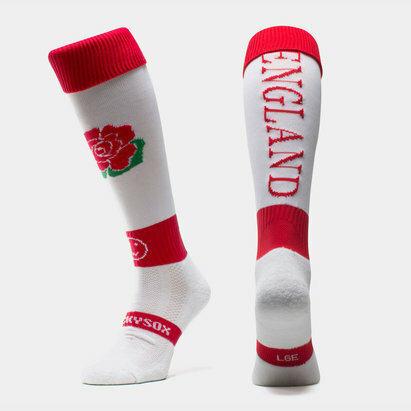 Red and white hoops are wither side of a large Love Rugby slogan on the calf for a winning look wherever the socks are pulled on.